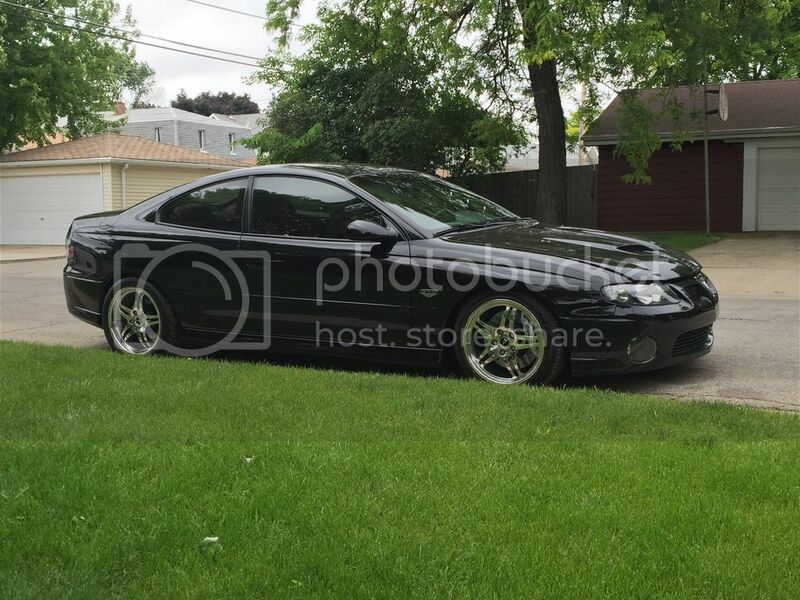 This thought crossed my mind, so I thought I would start a thread to see who bought their 2004 - 2006 GTO new and still has it. Mine has 56k on it. So post up if you are in this group. Bought mine new in 2005. Still have it! 45k miles so far. Lots of upgrades over the years! new in December 2006. approx 37,000 miles. some upgrades such as the amazing Corsa Touring resonator I bought from robofuzz. Ed Curtis Cam, Meziere EWP, FAST 90, Kooks LT's, Magnaflow cat-back, GMM Ripshift, BMR SFC's, LPE CAI. My baby got some new shoes. Last edited by AFAMET; 01-05-2019 at 07:07 AM. I bought my GTO in March of 2004 currently has 27,500 miles. Mine has October 03 build date. I have one of the earliest built. October 2006 Los Angeles. Didn’t test drive it. I remember trying to decide between a phantom grey, torrid red and quick “find a tree or fence” silver metallic. I chose qsm because it would blend in with the other hundred million grey and silver cars when driving like an idiot. Up to 78,000 miles. Been installing a clutch, driveshaft and some more bushings... for 2 years. Last edited by LS2-GTO; 01-05-2019 at 04:12 PM. Still have mine 3 - 20- 2007 miles on it today are 7043. I took my grandson to his 1st day of preschool in the GTO And he still remembers that day. He is 16 now and graduates in 2 years and he wants to drive himself to his last day of school. That's not going to happen!! I let him drive it but I will be right next to him. Wow and I thought mine was low mileage. Given to me September 16th 2017. My VIN ends in 00000082. Well anyway, Bought late Nov. 2004 during the fire sale. Had 28miles as it need to be driven from another dealer 54379 miles as of today. Used to track it a bit in 2005, 2006, 2007 then work changed so minimal driving time. Mostly garage queen the previous ten years. Done some work to it. Always doing a little this and that. Relatively trouble free car. Loads of quirks though. Oh I am 54. This is the only new car I have ever purchased. Last edited by Felix C; 01-07-2019 at 02:58 AM. Great responses. Looks like we are all over the USA. So far it looks like I have the most miles. So ........ how old is everyone? I'm 72 and still mashing the pedal. WOW, I always thought I might be the oldest here at 68! I am 42, bought GTO new when I was 27. Growing up in Detroit my dad and all my uncles had old school chevelle's, nova's, impala, road runners, hemi cuda, camaros, old GTO's, etc. I always wanted muscle car and my GTO might of been new school to them, but they all still love my GTO. 49 here. Bought her when I was 35. Just turned 78 last month. you cannot escape us. we are everywhere. Bought mine new in 2006, currently 32k miles on it...a reasonable amount of those are from road courses. was a big rebate. Just turned 40 that summer and completed my MBA, so I wanted to reward myself. Wanted a performance car to actually drive, instead of worrying about my 67 Firebird. Put 40k in 4 years, then took it easy. 78k now. Just had the SAP grilles, fascia and Banshee hood installed. Proudly shares the garage with the Firebird. 1983 Honda CX650 Turbo-boost on two wheels ! Am I qualified for this group? Greetings guys; I hope I qualify for this group. I purchased mine December of 06 with 4000 miles on it as GM had titled it. So am I a first owner or not? At first I thought it had been in the train wreck? It was built in June of 05 & I have learned that the train wreck was prior to that date? Anyway it's got 41,000 on it now. And I plan to attend the "Slay the Dragon" this coming October. And hope to attend the Goat Run 2020 if the event is held again. I have a Holden nose arriving soon for a new look. A dream I've had ever since I purchased it. With a name like mine it just seems right? Ole' Bob. Yeah, i'm in a similar boat. Purchased my 05 from a Pontiac/Buick/GMC dealer as a used car, at 5995 miles on the ODO, but it came with the Certificate of Origin from GM, as it was never titled. It was explained to me that it was a "GM company car" and some GM exec farted in the seat for 6 months before returning it. Not sure how true that is. My father is the original owner of the 2005 GTO in my avatar; purchased new on 11/8/2005 with 47 miles on it from Bill Rapp Pontiac in Syracuse. He just turned 77 in November. Car now has 11,099 miles and was titled to me last month. Last edited by ptcerio; 01-07-2019 at 02:57 AM. Purchased my 06 GTO new in July 2006 and it now has just over 80K on the odometer. Last edited by Lionfish; 01-22-2019 at 05:34 AM.